Maptek’s new I-Site SR3 600-meter range laser scanner follows the extra-long range XR3 and long range LR3, which came onto the market in 2017. The R3 series is 30 percent smaller and 25 percent lighter, with 2.5 times faster data acquisition than the earlier I-Site 8000 scanners. Survey teams can work faster and smarter, with confidence that accurate, current topographic and volumetric data is guiding mine planning and geotechnical investigations. The SR3 laser scanner weighs only 9.6 kg and is accurate to 4 mm. Surveyors will be able to measure stopes, drives and tunnels with ease. High resolution laser scans collect detailed data for geological and geotechnical face mapping. High fidelity imagery captured underground at the same time as scanning provides context and support for analysis and communication. A scan window of -40° to 90° vertically, and 360° horizontally captures all surfaces in any direction without the need for complicated configurations. Whatever the orientation of the scanner, integrated levelling automatically corrects scans before processing. New functionality on the tablet controller allows users to import mine CAD strings and surfaces to view together with scans. This facilitates real time comparison between the scans and allows users to compare this directly to the mine plan or geological models while underground. 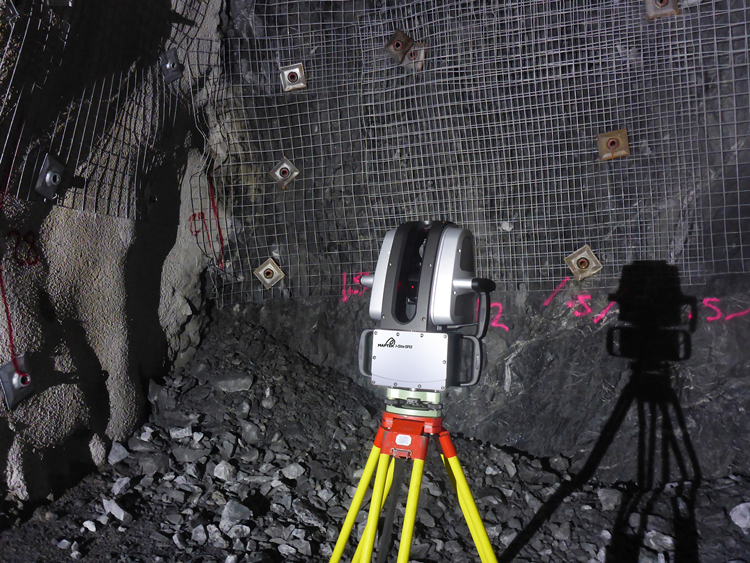 “Operations who choose Maptek laser scanners for one particular survey application, quickly find many more uses across their different engineering and planning disciplines,” said Mine Measurement Product Manager for Maptek, James Howarth. “Customers have called the technology a game changer for improving site efficiency and enhancing integration of survey with mine planning. A high rate of accurate data acquisition, ease of use, IP65 environmental rating and wide field of view for underground survey are notable system advantages. The flexibility of vehicle and tripod mount compatibility is another persuasive aspect. Modelling and filtering tools in the accompanying software are best fit for working with underground data. Versatile control over 3D data display and editing is a winner. “Old total survey practice technology is not able to compete with laser scanning for speed, accuracy, efficiency or safety. Why would an underground mine manager not minimize risk and safeguard personnel and equipment?” commented Howarth. Maptek understands the value of timely accurate survey to improving business performance. For the first time, surveyors will be able to log onto any web-enabled device and conduct a scan remotely.